The new PCI Data Security Standards (PCI DSS v2.0) are here and I’ve gotten a lot of questions about the changes related to encryption key management. Because we work with a lot of companies going through PCI compliance audits and reviews, the new standards just confirm the trends we’ve seen over the last few months on how QSA auditors and security professionals view encryption key management, and what they see as the minimum requirements for managing keys. The clear trend is to require that encryption keys be stored separately from the data they protect, and to make sure that the people who manage encryption keys are not the people who manage the protected data. Let’s look at why this is happening. While most of the largest merchants in the Level 1 category are already using professional key management solutions to protect encryption keys, the trend over the last 12 months is to require smaller merchants in the Level 2 and Level 3 categories to also use better key management practices, too. So, what are the parts of PCI DSS that are driving this change? It all has to do with industry best practices for encryption key management, and the concepts of Dual Control, Separation of Duties, and Split Knowledge. These best practices and concepts work together to form the basis for determining if your approach to key management will pass muster. First, what is the source of industry best practices for key management? Here in the US, the National Institute for Standards and Technology (NIST) is the most common source for guidance on best practices. The NIST special publication SP-800-57 provides specific pointers on how best practices for both procedurally managing encryption keys, and what to look for in key management systems. In these documents you will find the genesis of most standards regarding encryption key management, including the concepts in PCI DSS 2.0 Section 3. Next, it is important to understand Dual Control, Separation of Duties, and Split Knowledge. These are all clearly defined in the PCI DSS standard and in the accompanying PCI DSS glossary. I’ve extracted the exact definitions below, but I’ll recap them here from the point of view of key management. Dual Control means that no one person should be able to manage your encryption keys. Creating, distributing, and defining access controls should require at least two individuals working together to accomplish the task. Separation of Duties means that different people should control different aspects of your key management strategy. This is the old adage “don’t put your eggs in one basket”. The person who creates and manages the keys should not have access to the data they protect. And, the person with access to protected data, should not be able to manage encryption keys. Split Knowledge applies to the manual generation of encryption keys, or at any point where encryption keys are available in the clear. More than one person should be required to constitute or re-constitute a key in this situation. What are the practical implications of these best practices and core concepts? One of the practical implications follows from a common fact of system administration. On all major operating systems such as Linux, Windows, and IBM System I (AS/400) there is one individual who has the authority to manage all processes and files on the system. This is the Administrator on Windows, the root user on Linux and UNIX, and the security officer on the IBM System i platform. In fact, there are usually multiple people who have this level of authority. In one study by PowerTech, the average IBM System i customer had 26 users with this level of authority! That’s why storing encryption keys on the same system where the protected data resides violates all of the core principles of data protection, and that’s why we are seeing auditors and payment networks reject this approach. If you haven’t faced this issue yet, your day is probably coming. Now is the time to start planning on how to deal with the problem. Over two years ago we saw this trend developing and took action to help merchants be prepared for proper key management. We created the Alliance Key Manager solution and released it to our partner channel in 2009. This year we released it for direct sale, and last week we received our FIPS-140-2 certification from NIST. Over 1,000 customers are now using AKM to protect their encryption keys with a solution that provably meets industry standards. Our encryption products have been updated to use this new key management solution, and we are moving customers forward to compliance. It’s been a long, hard slog to NIST FIPS-140 certification, but I think our customers will benefit from the effort. I hope this has been helpful in clarifying key management best practices. 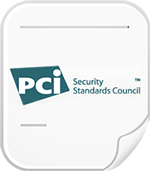 For more information on PCI and key management, download our podcast titled "Key Management Best Practices: What New PCI Regulations Say." Please let us know if you have any questions.